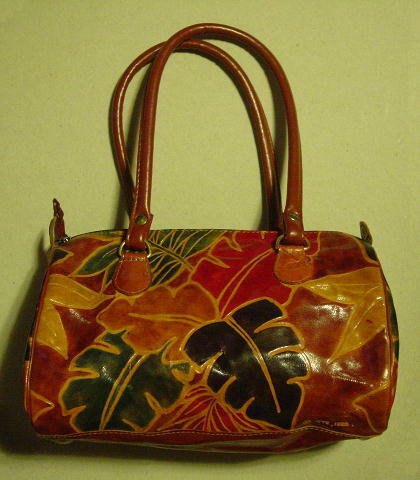 This foreign-made vintage leather handbag has an etched © MVC 1992 on each side's bottom right corner. It has a black fabric lining with an interior side zippered pocket. There is a top side to side zipper opening and small elevated leather tab on each side. 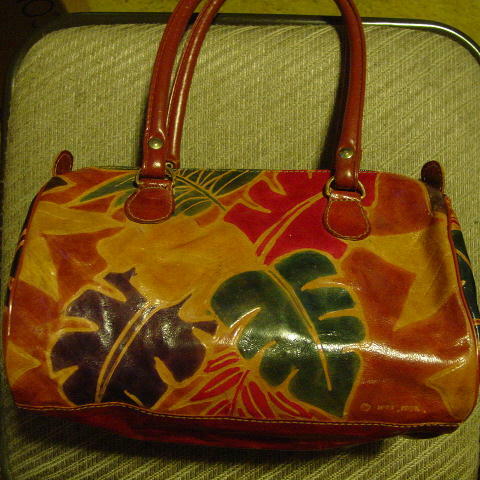 It has two padded leather 19" by 1/2" handles. 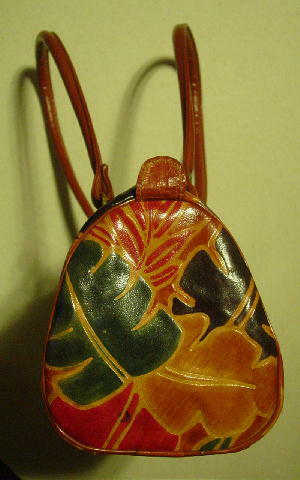 There is an etched painted leaf design in light and medium camel, red, green, eggplant with a touch of dark brown, and caramel. It's from a stylist's inventory, and was used once, in a photo shoot.